Juan Palacios put on a strong performance and pushed Chalon/Saone to a road win against Gravelines-Dunkerque in the French League. 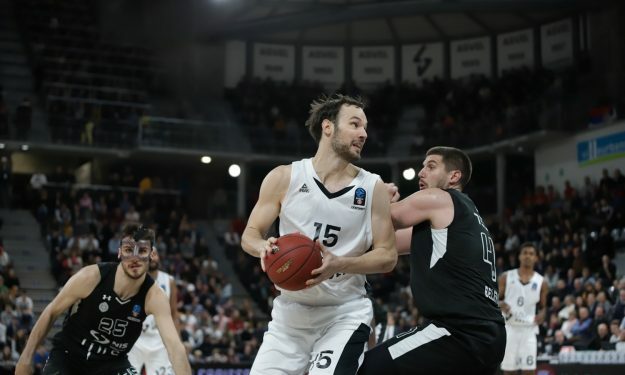 Chalon/Saone dominated the first half (52-28) and eventually secured a 91-66 road win over Gravelines-Dunkerque on Day 19 of the French League. Juan Palacios led the victors with 21 points while Justin Robinson scored 17. On the other side, Karvel Anderson scored 13 points. Chalon/Saone improved to 9-10 while Gravelines-Dunkerque holds a 10-9 record. The top belongs to Lyon-Villeurbanne with 14-5 followed by Pau-Lacq-Orthez with a 13-6 record.